CHESTERFIELD, Mo. — Today may be food and fun for most people, but it's also the beginning of new life for many others. Wednesday, St. Luke's Hospital dedicated special wardrobes for the newborns who helped America celebrate its 242nd birthday. 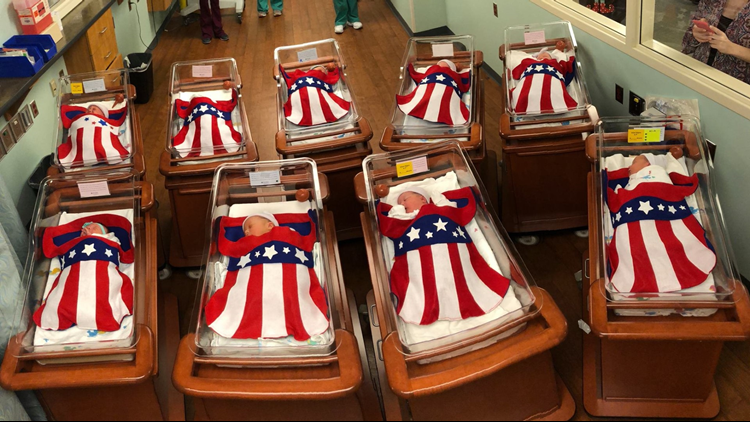 Each newborn was decked out in patriotic swaddles — or 'Uncle Sam's' as the hospital described them.